I was supposed to be on the water today, but…………when you’re a mom some of the best made plans don’t work out. My daughter called with a horrible earache in the middle of the night. Only being an hour away I went and got her because the student health center is closed on the weekends and I wanted her to see her physician ASAP, as finals start Monday. She’s got her meds and back to bed, and I’m left trying to figure out the logistics for the rest of the weekend until she wakes again. On another note, after a couple of sessions with a few different paddles I finally bought one. I tried a couple of Werner’s, which I really liked. I paddled with the Cyprus for a couple of hours. It is really light and I really like the way it felt in my hands and through the power phase of my stroke. Later in the week I took a 2 hour paddle with a wing. I am grateful for the personal instruction I received, and when all was said and done, I couldn’t resist that little “airplane blade.” Told you I broke the bank again! 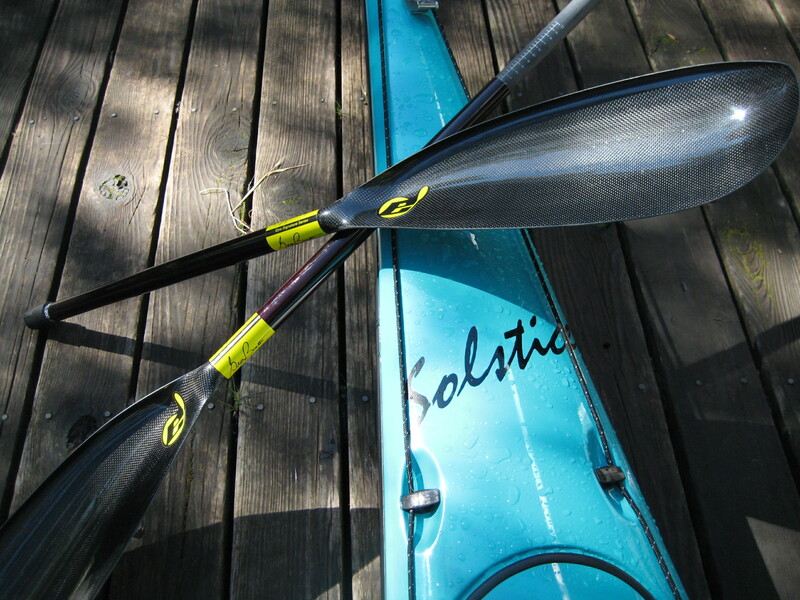 So, sometime this weekend I’ll be on the water to measure out some training distances and practicing with my new paddle. Very cool, because I’m getting to know some locations near work which put me on the water within minutes. In a few weeks I’m hoping to go around Alameda Island which is a 12 mile outing, and with the time change this weekend I’ll have a few more hours of sunlight to my day. Just excited about all the new things I’m learning and areas I’m discovering. Which I might add, are just out my back door. This entry was posted on March 13, 2010 by DummyDiva. It was filed under Uncategorized and was tagged with Epic, equipment, kayaking, Werner. I hope you enjoy your new paddle. I use a Werner Cyprus foam core bent shaft now and I’m really happy with it. Used a straight shaft with a blade way too big for me for years so it took a bit of getting used to. I also have a wing but I don’t feel secure with it on anything more than flat water. I’m sure that could be coached. I am a paddling mum too – I understand the issues! What a great part of the world you have to paddle in. Look forward to following your blog! 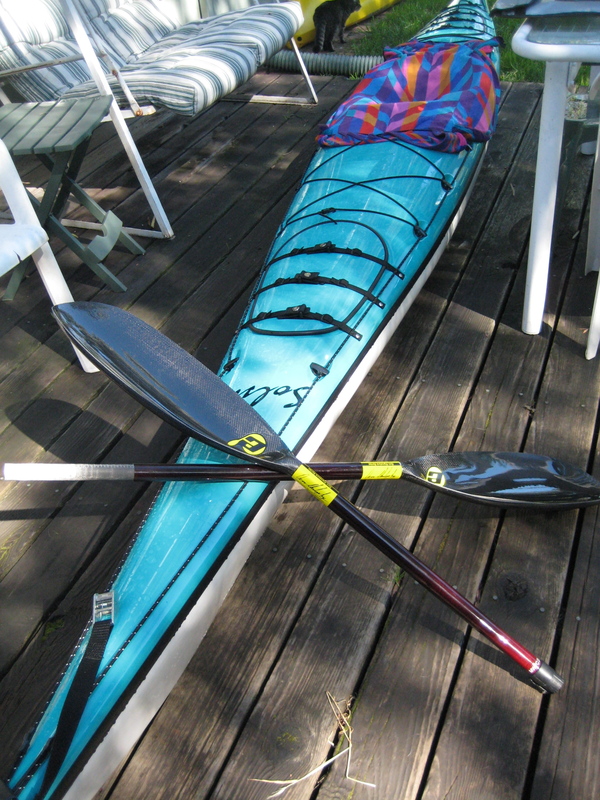 Congrats Kellie on your new kayak, paddle and blog! The kayak looks beautiful – a lovely colour. I’ve heard good things about the Epic Wings – one of the coaches I know swears by them. Hi Pam. Hope all is well with you. Good to hear from you again. Yes, I’m getting out a couple times a week now. I just got home this minute (well 45 min. ago by the time you unload everything and put it away), from a paddle after work. First time solo with my new wing. But it was a beautiful day. 81�F today. Can you believe it! Getting my daughter home for quarter break this Sat., but Sun. I’m out again. How are you?